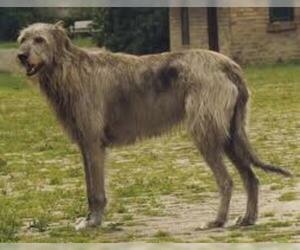 Overview: The Irish Wolfhound is very large, but has a quiet and pleasant personality. 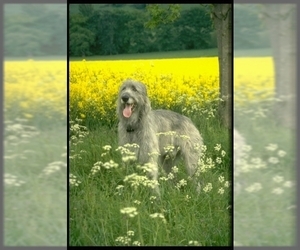 He's very affectionate and love to be with people. He's a great pet indoors and loves to run and play outdoors. They grow fast, getting to 100 pounds within six months! 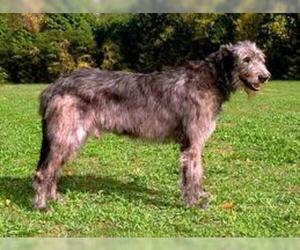 Colors: Gray, brindle, red, black, white, or fawn. Coat: Hair is rather rough, coarse, and hard. 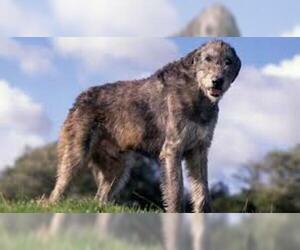 Character: Irish Wolfhounds are friendly, gentle, loyal, and calm. 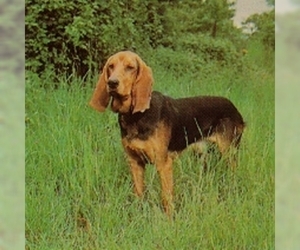 Temperament: This breed gets along well with children, other dogs, and most household pets. There should be no problems, as long as early socialization has taken place. 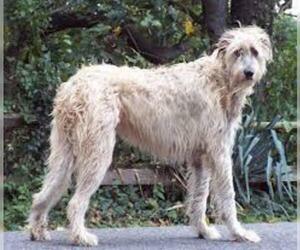 Care: The Irish Wolfhound requires regular grooming with a brush and comb. Twice yearly the dead hair should be plucked manually from the coat. 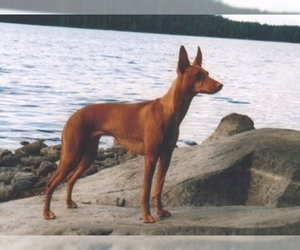 Training: This breed is easy to train and responds best to a gentle approach. 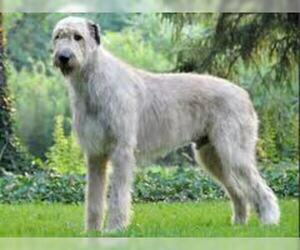 Activity: The Irish Wolfhound can adapt to your activity level, but also enjoys getting out for a long walk as often as you can manage. 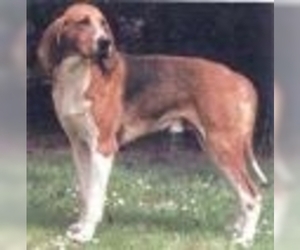 Health Issue: The breed is prone to cardiomyopathy, bone cancer, bloat, progressive retinal atrophy, von Willebrands disease, and hip dysplasia. Displaying 1-3 of 3 result(s). Displaying 26-30 of 98 result(s). Colors: All colors and combinations are acceptable, most common are: fawn, fallow, red cream, or any of these, broken with white. Colors: Shades of tan, tan and white. 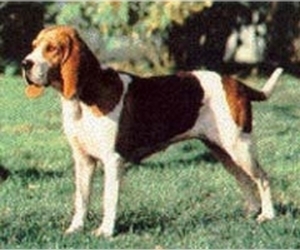 White or white with orange patches are tolerated.